New York (TADIAS) — Over the years the Obama Administration has made unparalleled efforts to reach out to the African community across the United States, and we’ve had the opportunity to participate in several briefings at the White House. Yesterday, the first Ethiopian-American Policy Briefing was organized by Ethiopian-American White House & Congressional staff and we were honored to attend as one of many community members. 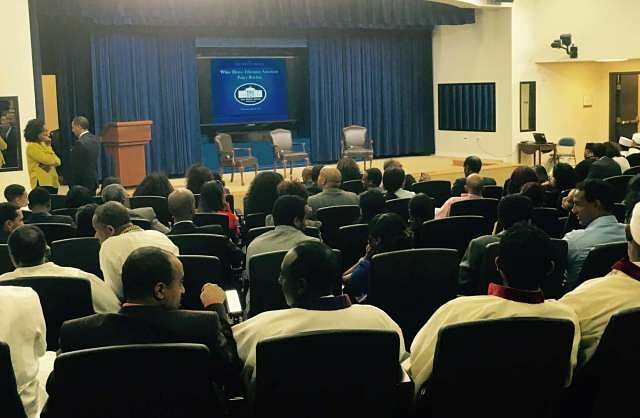 Ethiopian Americans from diverse sectors including youth, professional, and faith-based organizations as well as academia, non-profit and small business ventures participated in the briefing. We’ll be sharing more details of highlighted White House initiatives focusing on education, healthcare, small business, and civic engagement on our site shortly to continue the dialogue with the wider community.